Wondering if you need to write an addendum to your law school application? 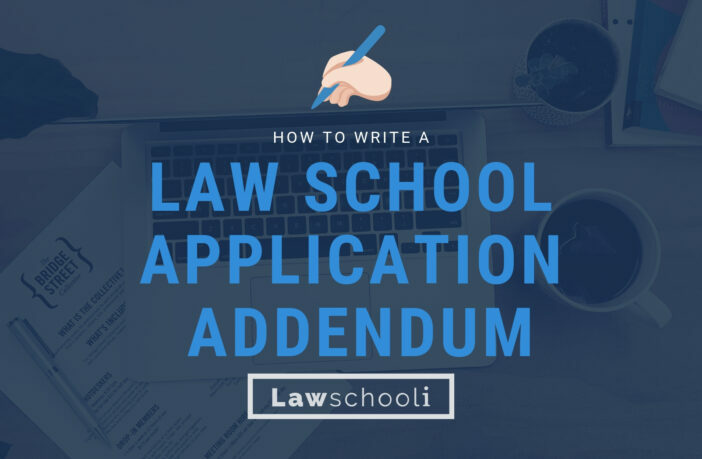 An addendum is simply a short, one-page essay that explains weaknesses or discrepancies in your law school application. We recently got a question in the LSAT Mastermind Group from a member who wanted to know if her situation warranted writing an addendum to her law school application. I wanted to get the full scoop on the topic, so I asked Peg Cheng, who literally wrote the book on law school application addenda. Peg’s answer was so comprehensive & helpful that I wanted to share it with all of our readers. If you’re thinking about writing an addendum, you’ll definitely want to get a copy of her book, The No B.S. Guide to the Law School Addendum. If you’re wondering if you need to write an addendum to your law school application, I know you’ll find Peg’s answer to be very helpful. If you still have questions about the addendum that we haven’t addressed here, leave a comment below explaining your situation & we’ll try to provide some guidance. Do Law Schools care if you transferred schools as a Undergrad? I wouldn’t be concerned about this if I had only transferred once, but I transferred twice. Technically I started school at FSU in the summer of 2012 and was accepted as a transfer to UF for the fall of 2013. At the end of the Fall 2012 semester, I moved home and did the 2013 spring and summer semesters at a community college where I grew up before going to The University of Florida where I will graduate either in December of this year or Spring of 2016. Do I need to somehow explain why this transition happened to the schools I apply to? Will they even care? Good question. The answer to whether you should explain your two transfers depends on two things. 1. Did your transferring of schools cause you to take a leave of absence from college (a quarter or semester when you were not in school, not including the summer term)? It doesn’t sound like it did since you went to FSU in Summer 2012 and Fall 2012, then did Spring 2013 and Summer 2013 at a community college, and then started at UF in Fall 2013. (Hope I got that right!) But, if for some reason you left UF for one term or more (again, not including summer term) after you transferred there, then you need to write an addendum. 2. Was having low grades or withdrawals from classes the reason for either of the transfers? Low grades are grades that are below a 2.0 or D’s or F’s. If yes, then you need to write an addendum. Having a weakness or discrepancy in your law school application is not uncommon. So many people do. If you answered “yes” to either of my questions, you are not alone in having to write an addendum for your law school application. When Should You Write an Addendum? Just because an addendum can be written, should it be written? In the case of reasons #3-#7, yes, you should write an addendum. In the case of reasons #1 or #2, not always. For example, I’ve met many applicants who have transcripts that show two initial years of mediocre grades due to taking premed course requirements, as well as two later years of better grades when they stopped taking premed courses. Law school admissions officers can spot a “failed premed” from a mile away—they don’t necessarily need or want you to explain it in an addendum. On the other hand, maybe there was something else that contributed to you getting low grades. Perhaps you had to work 40 hours at a job because your father was laid off at work? Or your mother became seriously ill and you missed classes to visit her in the hospital? Or maybe you contracted mono and missed a lot of class? In the case of unforeseen events causing and/or contributing to low grades or a low LSAT score, you should write an addendum. Want more tips for writing the addendum? Check out my No B.S. Guide to the Law School Addendum. 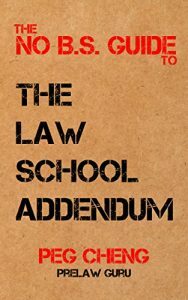 This guide provides detailed advice on writing the law school addendum, as well as nine sample essays for the most common situations, including reasons #1-#7 listed above. 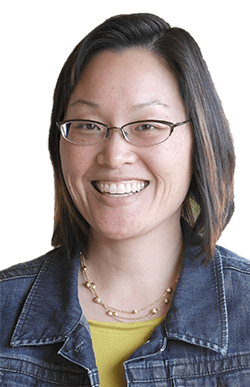 PEG CHENG is the author of The No B.S. 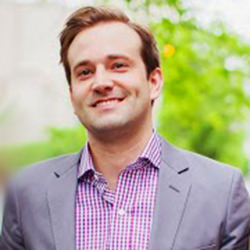 Guides for applying to law school and the founder of Prelaw Guru, where you can find law school admissions tips, books, classes and more. For more great tips, follow Peg @prelawguru. Previous ArticleDo I Need Know What Type of Law I Want to Practice Prior to Law School? What Is A Good GPA For Law School? Thank you for the book recommendation! I will definitely have to look into it. I do have a specific question about the addendum, particularly about disciplinary action. During my sophomore year, I got in trouble with my RA for having alcohol in my room. I was under-aged at the time, but was cooperative with my RA. I later had the incident expunged, but should I include this in my application? I have never stepped out of line in any other aspect of my academic career — never plagiarized or cheated, anything like that. I’ve also never gotten in trouble with the law. My GPA is on the lower end at around a 3.62 and my most recent practice LSAT score is at a 165 (working to bring it up to at least 170 for the June LSAT). Do you think a minor offense like this would greatly jeopardize my admissions into T14 schools? Hey anonymous – you should definitely go ahead and disclose this encounter both to your law school and to the American Bar Association when you are applying to be admitted to the bar. The general rule is that you should disclose ANYTHING on your record, even if it’s been expunged, unless you have signed something like a disclosure agreement or have a gag order. Law schools/the ABA prefer disclosure and an explanation because if for some reason you don’t tell them and they find out, this would cause them to question your character. People have been prevented from being lawyers by the ABA for trying to hide something even as little as this so it’s better to be safe than sorry! Law schools will care more about your honesty and maturity and won’t hold this against you.